During his time at the University of Oxford’s Saïd Business School, Professor Nir Vulkan has made an indelible impact. He’s a leading authority on e-commerce and market design, as well as applied research and teaching on hedge funds. Nir began his academic career with a BSc in Mathematics and Computer Science at Tel Aviv University. He gained his doctorate in Economics at University College, London, where he was awarded the Dean Scholarship for excellence in PhD studies. He became a lecturer at Bristol University in 1997, before moving to Saïd Business School, University of Oxford in 2001, where he was the Director of the Oxford Centre for Entrepreneurship and Innovation for five years, as well as the Co-founder and Director of OxLab, a laboratory for social science experiments. Throughout his time at the university, he has been active in research in his field, contributing to publications on market design and e-commerce, automated negotiations, personality and strategic behaviour, and matters of entrepreneurship. Notably, he is the author of a leading text on the microeconomics of e-commerce, The Economics of E-Commerce: A Strategic Guide to Understanding and Designing the Online Marketplace, which analyses online trading mechanisms and the way in which web-based technologies influence the behaviour of consumers and retailers. Algorithmic trading has been changing marketplaces since the 80s but in recent years this effect is growing as more and more funds are allocated to systematic trading. He has put his knowledge to practical use: he has over 17 years experience working as a systematic trader with some of the world’s leading hedge funds, often consulting trading firms and clearing firms on algorithmic trading. Alongside this work, he has developed models used widely in e-commerce, trading, and hedge funds. As a teacher and lecturer, Professor Vulkan takes the view that students learn best by doing; this has led him to incorporate games, role-playing, and projects as significant parts of his teaching practice. Nir brings all his knowledge and expertise to bear as the Convenor of the Oxford Algorithmic Trading Programme, an area of study he believes has great importance in modern trading. 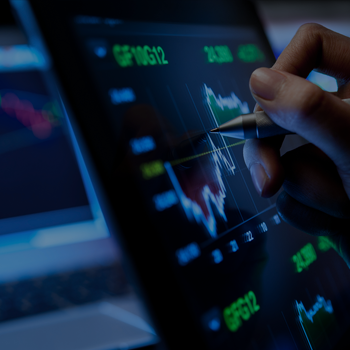 The Oxford Algorithmic Trading Programme is offered entirely online, giving Nir the opportunity to teach participants from every corner of the globe key theories of algorithmic trading. Participants of the course will gain a greater understanding of the fundamental industry principles of algorithmic trading, and be able to apply them to the critical evaluation of an algorithmic trading model. Aside from his work as the Convenor of the Oxford Algorithmic Trading Programme, Nir is also the Co-convenor of the Oxford Fintech Programme and the Oxford Blockchain Strategy Programme. How will algorithmic trading change the modern world?